Attracted to our unbiased advice, our evidence-based approach to low-cost investing and our ability to deliver on the promise of true wealth management, more than 15,000 investors have become clients of independent BAM ALLIANCE wealth management firms across the country, representing more than $17 billion of collective assets as of December 31, 2012. Conry-Taylor & Morrow CPAs, P.C. 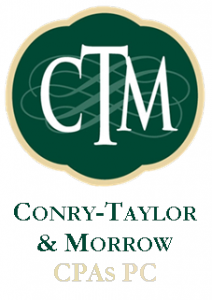 Conry-Taylor & Morrow is an affiliate of CTM Financial, LLC, offering a full-range of tax, financial planning, and business write-up services to the greater Knoxville area. TD Ameritrade is a custodian to accounts we manage on your behalf. While you grant us Limited Power of Attorney to execute transactions on your behalf, accounts are held in your name.